Bomb threats have been reported at 16 Jewish centers in nine US states. Several Jewish Community Centers (JCC) have been evacuated after receiving near-simultaneous bomb threats, according to local reports. Around 200 preschool children were in the middle of a swimming program at Mandell JCC in West Harford, Connecticut when the threat was made on Wednesday morning, leading to an evacuation. Police allowed people back into the building after conducting a search and determining the threat was not credible. A similar threat was made at the JCC of Greater New Haven made by a woman caller, who said a bomb was in the building, a senior staff member told WNBC. Nashville’s JCC was also evacuated and later given the all clear, according the Tennessean. Threats have also been reported at Jewish centers in Florida, including in Palm Beach and Miami. The Alper JCC in Miami was evacuated due to an unsubstantiated bomb threat on January 9, along with eight other centers in six states the same day. In California’s Marin County, police investigated a bomb threat at the Osher Marin JCC. The center was evacuated and surrounding areas were on lockdown, according to police officials. The initial threat came at 8:45am local time, and Marin County sheriff’s deputies are trying to identify the origin of the call, KRON reported. #BREAKING : Bomb threat at the Osher Marin Jewish Community Center. Building being evacuated. Surrounding areas on lockdown as precaution. In Albany, New York, the JCC reopened Wednesday afternoon after the facility was closed following a bomb threat. Bomb-sniffing dogs swept through the Albany JCC and found no device or evidence after the bomb threat made in the morning, Albany police told reporters. "We can't let people who want to create fear rule our lives," the JCC's executive director, Adam Chaskin, told the Albany Times Union as the center reopened. In this instance police said a woman called the JCC at 9:40am and said there was a bomb in the building. Staff, members and children at the daycare were evacuated immediately, police said. 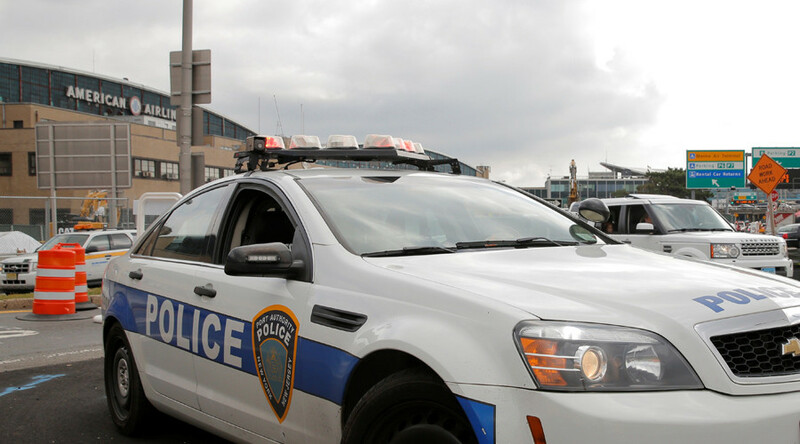 In Edison, New Jersey, teachers and students participating in gym and daycare programs were also evacuated following a bomb threat made to the YMCA and JCC. Police said the call happened around 9:00am, according to News 12.